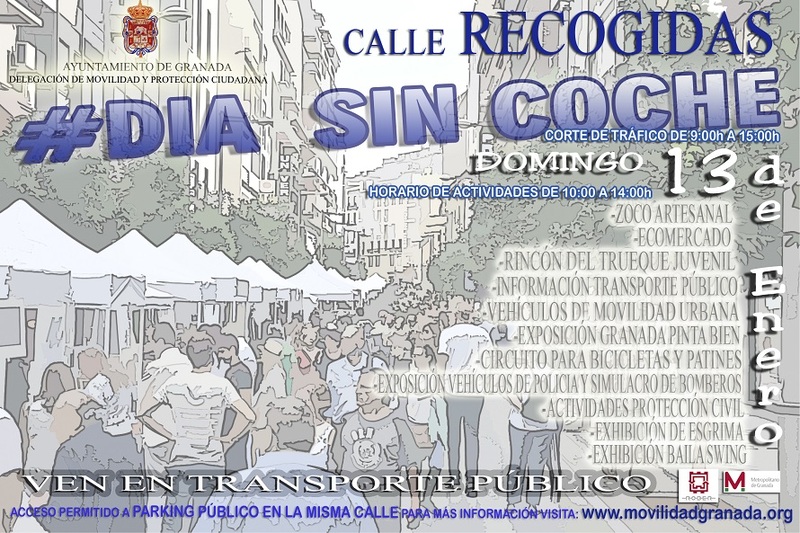 Traffic cut in Recogidas Street, between Pedro Antonio de Alarcón and Puentezuelas, will be from 9:00 to 15:00 hours. 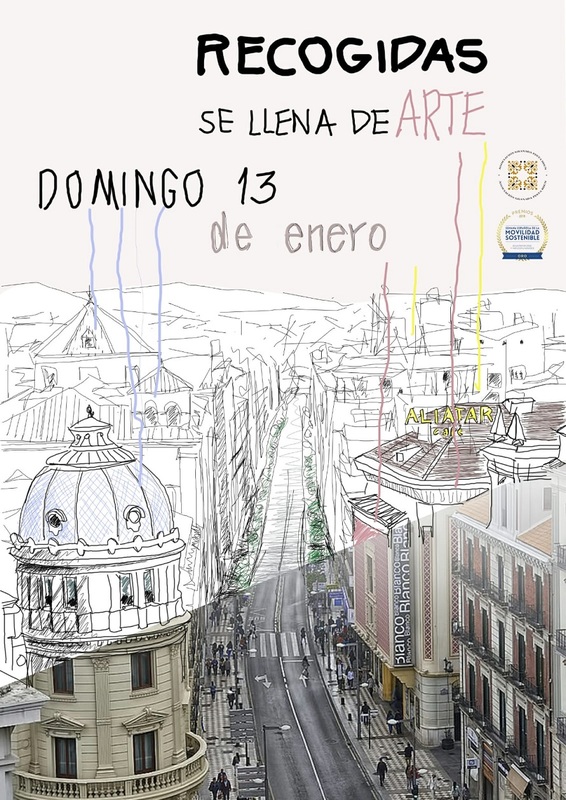 Park your car and enjoy Granada in its #CarFreeDay. Use public transport. Free access to public parking in the same street. 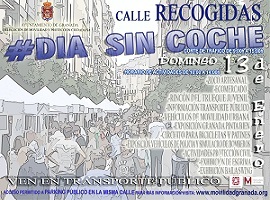 Urban Bus line 9 will be diverted through Camino de Ronda during the celebrarion of this Car Free Day.